Hamilton, NJ – With its fiscal year coming to a close, Lennar recently completed a thorough analysis of its standing inventory at its Greenbriar active-adult communities throughout New Jersey and developed a strategy for selling as much of it as possible. That approach now has the 55-plus home buying market throughout the state energized. Buoyed by the depth of resources that comes with being one of the nation’s leading home builders, Lennar is conducting an aggressive Year-End Inventory Sale, offering significant incentives to buyers who can close on a new home by November 30th. It’s a classic case of a motivated seller with the where-with-all to move product at a discounted rate, and a home buying public ready, willing and able to take advantage of the good timing. Lennar provides even more value to its buyers through a long-standing automatic upgrade program it calls “Everything’s Included” (EI). First launched in 2006, the popular EI program aims to eliminate the hassles, headaches and guesswork from the home buying process by determining the most popular features in the marketplace and integrating them into the home design at no extra cost to the homebuyer. Lennar essentially passes the discounted bulk-rate, wholesale prices it receives directly to its customers. Features such as granite countertops, hardwood flooring, custom cabinetry, stainless steel appliances, and high-end electric and plumbing fixtures add approximately $25,000 worth of value to each home. “Between the Year-End Inventory Sale at our Greenbriar properties and the consistent, everyday savings we offer through our Everything’s Included program, you would be hard-pressed to find a better deal right now in the active adult marketplace,” Mr. Bompensa added. 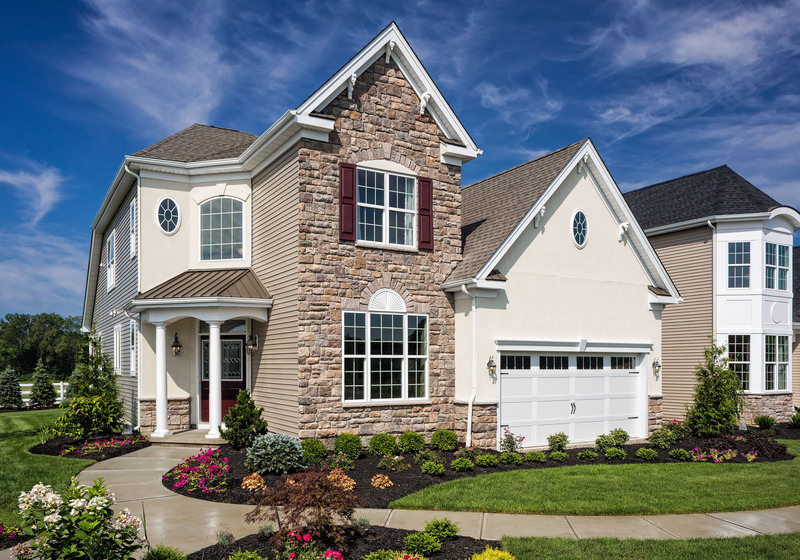 The Year-End Inventory Sale is being held at Lennar’s Greenbriar communities throughout New Jersey: Greenbriar Fox Ridge in Rockaway Township, Greenbriar at Villagio in South Brunswick, Greenbriar Stonebridge in Monroe Township, Greenbriar Falls in Tinton Falls, and Greenbriar Oceanaire in Waretown. Lennar’s five Greenbriar communities each offer unique home designs, amenities and atmospheres, but are tied together by the brand’s trademark upscale, resort-inspired lifestyle. Located off of Exit 35B on Route 80 in the Morris County town of Rockaway Township, Greenbriar Fox Ridge features 336 one- and two-bedroom, single-level condominium homes priced from the mid $200,000s. The visually-stunning wooded property features a clubhouse with a fitness center, indoor and outdoor swimming pools, social rooms and a tennis court, as well as a community garden and other amenities. Inspired by the Mediterranean and the Italian countryside, Greenbriar at Villagio offers beautiful new two- and three-bedroom homes just minutes from downtown Princeton, priced from the low-$500,000s. Residents of the community enjoy a number of features, including manicured walking paths, picturesque ponds, tennis courts, basketball courts, gazebos, a waterfront amphitheater and a clubhouse with numerous amenities, including an outdoor pool. Greenbriar Stonebridge is located just off of Exit 8 of the New Jersey Turnpike, offering an incredible 946 single-family homes, including two- and three-bedroom Estate Homes priced from the mid-$400,000s. The community features the largest clubhouse of any active adult community in New Jersey, a palatial 41,000 square feet of amenities and gathering areas, including a grand ballroom, magnificent theater with stadium seating, billiards room, state-of-the-art fitness center, indoor swimming pool, spa, two-story great room, card room, computer center, meeting rooms and nearby outdoor pool, sun deck and tennis courts. In a quiet suburban neighborhood in Monmouth County, Greenbriar Falls offers tremendously spacious luxury townhomes with three bedrooms, priced from the mid-$600,000s. The spacious layout and well-appointed interior spaces allow buyers moving from larger single-family homes in nearby Rumson, Red Bank, Colts Neck and Holmdel to move right in without sacrificing the amount of space or luxury lifestyle they enjoy, all in a location just minutes from the Garden State Parkway, beaches, golf courses and the celebrated offering of restaurants, shops, and boutiques in downtown Red Bank. Greenbriar Oceanaire in Waretown, near Exit 69 off the Garden State Parkway just north of Long Beach Island, is a community of 1,400 single-family homes spread across 950 rolling acres of lush greenery. Fewer than 20 homes remain available for sale — with only a handful situated along the community’s private, 18-hole golf course. Home prices start from the low-$300,000s and residents enjoy access to an award-winning clubhouse. For more information on Lennar’s Greenbriar active adult communities, visit www.greenbriarnj.com or call Internet New Home Consultant Iris Barrios at 609-349-8258. For more information on Lennar, visit www.Lennar.com.